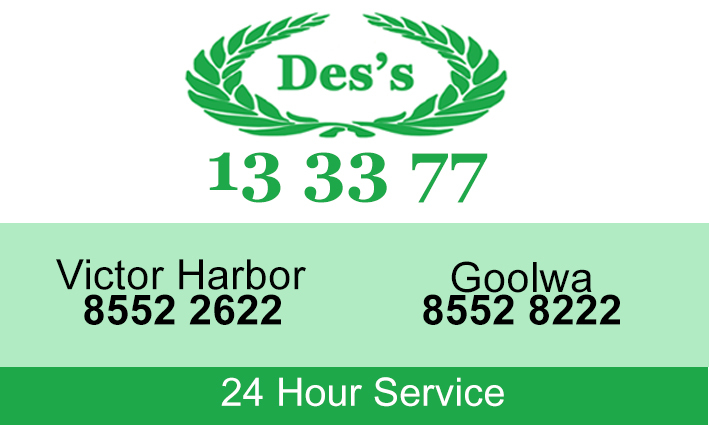 Des’s Cabs (formerly known as Peninsula Taxi Group and Des’s Peninsula Taxis) is the premier taxi service on the Fleurieu Peninsula. We operate 24 hours a day, 7 days a week. Bookings can be made by calling our Easi-call number 13 33 77 or for Victor Harbor 8552 2622 and Goolwa 8552 8222.